Naturally a few questions arise along your vacation planning, so, here is a little compilation of the most common questions we get. Do the beds have mosquito nets? Yes, all the beds are supplied with mosquito nets and all the houses are well screened. What sizes are the beds in the houses? The Houses have good orthopedic mattresses and measurements. The double bed size is 140×195 cm. The single bed size is 100x195cm. The King size bed is 200x195cm. No, you never have to share any of the houses with any other customers. All houses offer their own facilities and are completely private. Do you provide towels/bedlinen during our stay? As in any other jungle house rental towels and sheets are included in the price of the rent. They will be changed once a week. If you prefer we can clean your house every day, but please let us know at arrival, we will charge you extra for this service. Of course you can always ask us for dry towels. Is there security to prevent theft of personal belongings? All of the houses are equipped with a safety box. All the doors and windows are provided with locks. Congo Bongo has electricity. In Costa Rica the voltage is 110V and the sockets are the same as in the U.S. Yes, all the houses have free WiFi and Internet access. The beach of Playa Manzanillo is about 200 meters from the property. What kind of activities are there to do around? About activities you don’t have to worry. There is plenty to do. Jungle hikes in the Manzanillo wildlife refuge are most recommended. 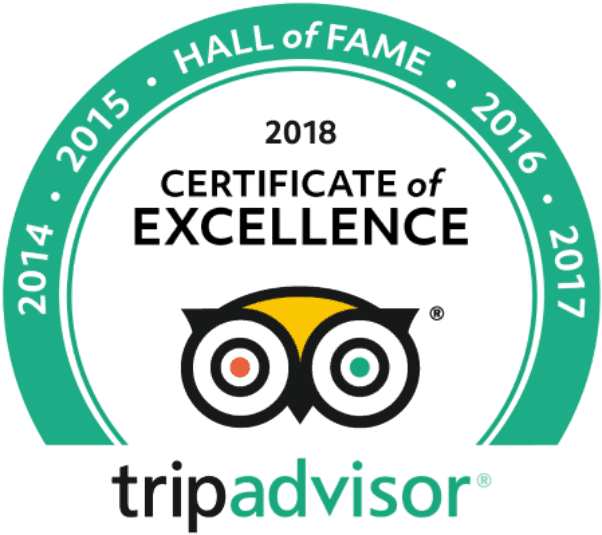 Also Butterfly Farm, horse back riding, snorkeling/diving, kayaks for rent, dolphin tours, visit to chocolate farm and help making chocolate, bikes and tours to the indigenous reserve in Bri Bri, canopy and wild water rafting and much more actually. Check our activities section to get a better idea of what we have to offer. Is the snorkeling good? Do you rent snorkeling gear? Depending on the time of the year the snorkeling is fantastic. Most recommended for snorkeling are April/May and September/October. But also during many other months when the tide is low and the ocean calm you will enjoy snorkeling a lot. Congo Bongo does not rent snorkeling gear, but there are other places around which do, e.g. in Punta Uva Dive Center. Can we swim in front of Congo Bongo? Right in front of the property the beach is very beautiful and good to take a swim. Only during the raining season the rip tide can be stronger. Yes, we have a set of fresh new bikes that you can rent for 10 USD per day. Renting a bicycle is an excellent way of reaching nearby beaches and grocery stores. Dolphins you can find in Manzanillo. There are 3 kinds of dolphins reported, including the very rare and recently discovered Amazon species Tucuci. The people from the dolphin foundation in Manzanillo, Aquamore, can take you on trips and almost guaranteed you will see Dolphins. However, they wont allow you to swim with them. 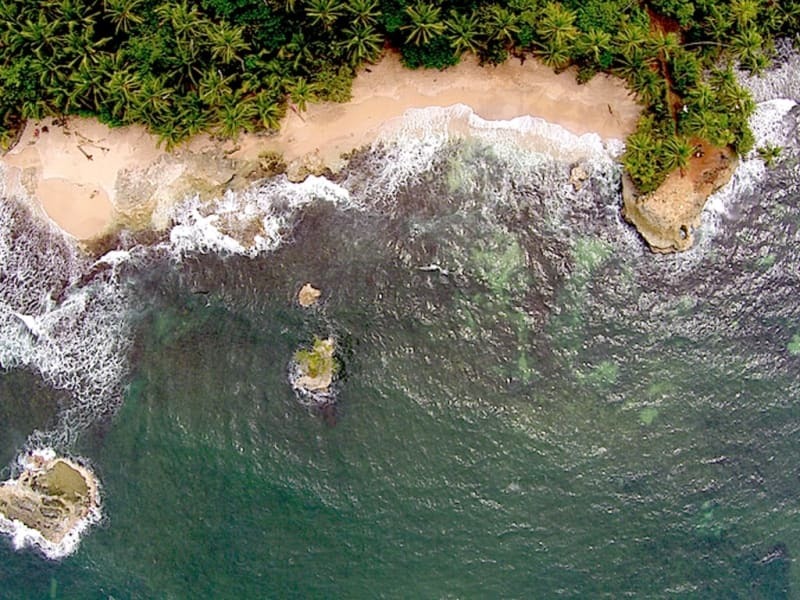 How close is the Cahuita National Park? The Cahuita National Park is 15 km North of Puerto Viejo. How close is the Gandoca-Manzanillo National Park? 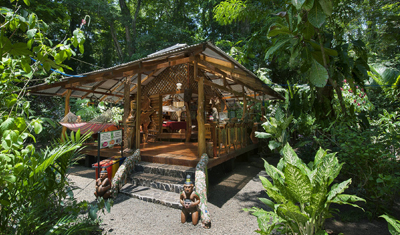 Congo Bongo is actually built within the boundaries of the Gandoca-Manzanillo Wildlife Refuge. For hiking in the refuge we recommend to go to Manzanillo, from where nature guides can take you on their tours. If you want you can enter the refuge also by your own, however you can get lost if you walk in to far. The trails are narrow and sometimes difficult to find. The vegetation is very thick and walking off the trails in the rain forest is not recommended. Cool and Calm is just a 10 minute walk away, ath the very beginning of Manzanillo town. See their reviews on TripAdvisor. Is Congo Bongo offering food and drinks? Unfortunately we can not offer you this service. All the houses are supplied with a fully equipped kitchen and a big tank with fresh drinking water. The nearest restaurants are located in Manzanillo and along the way to and in Puerto Viejo you will find lots of restaurants who will offer you food and drinks all day. Is there a grocery store close to the hotel? At less than a 10 minute walk from Congo Bongo are two small pulperias, little grocery stores. Unfortunately we can not offer you this service other than your first payment over Paypal. Cash money, dollars and colones, are easier for us. The same goes in the grocery stores, mostly. Some accept credit cards, but it always best to carry enough cash. Where is the nearest airport to get to you? The nearest airport is in Puerto Limon. Sansa Airlines now offers daily flights from San José (SJO) to the Limon Airport (LIO) that take just 45 minutes. Then you can take the shuttle to Puerto Viejo, which takes about one hour. Otherwise it would be the San José airport where most international flights come in. How far of a drive is it from San José? Under normal conditions you drive it probably in about 4-5 hours. However, faster is possible. The road from San José to Congo Bongo is paved all the way. At night it will probably takes a little more. However, we really not recommend you to drive after dark in Costa Rica. People sit on the sides of the roads, there are pot holes every where and signs are very poor. We really recommend you to do the drive from San José to Congo Bongo during day time. Or use the InterBus service. The driver will pick you up from the airport or your hotel and drive you all the way down to Congo Bongo. Taxis are very cheap locally and it is not really a must to have your own vehicle while being at Congo Bongo. Most people always realize it was not necessary to have a rental car. Unless you decide to travel through the country independently. How far is the bus from Congo Bongo? From Manzanillo buses leave at 5:00, 8:15, 12:45 and 17:00 hours. They pass at Congo Bongo about 5 minutes later, but can be earlier. This bus gets about 2 hours later in Limón. In Puerto Viejo many more buses stop. To San José buses leave at: 7:00, 9:00, 11:00 and 16:00 hours. From San José to Puerto Viejo buses leave at the Terminal de Buses de San Carlos or also know as Autotransportes Mepe. They leave at: 6:00, 10:00, 13:30 and 15:30 hours. From Puerto Viejo to Congo Bongo you will have to take a taxi. The bus fare from San José to Puerto Viejo is about $11. In Puerto Viejo it is easy to find a taxi. The fare to Congo Bongo is about $10. At night up to $12. We can always call you a taxi from Congo Bongo. It’s a about a 15 minutes drive from Congo Bongo into Puerto Viejo.